When it's summer time, it's often nice to be able to be outside in your patio or backyard to enjoy the weather. If you're looking for another reason to spend time outside, then check out the Sunvilla 7 piece Sling Dining Set. This dining set features a table, so that you and your family can dine outside. That and it comes with enough chairs to accommodate six people. 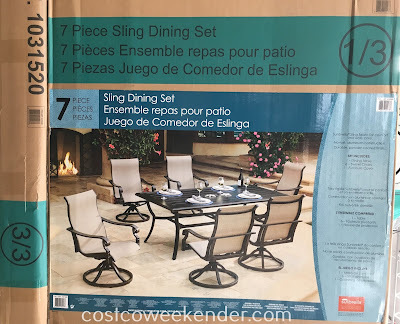 This is great for bbqs or any other outdoor gathering. That way you're not confined to be inside the house when the weather is nice. 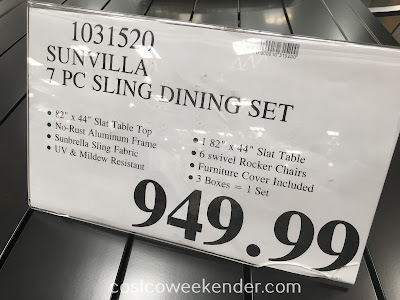 The Sunvilla Sling Dining Set is made so that it can withstand the outside elements. 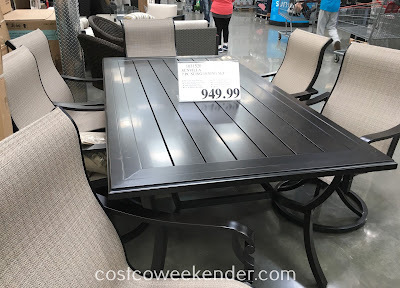 Having the right furniture in your patio makes a lot of difference since it'll give you an extra incentive to be outside come this summer.